Interior design allows you to arrange your own space easily and functionally as you desire. The indoor and outdoor areas are well thought to fit your living comfort together with backyard patio to make you feel closer to the nature with our Relaxing outdoor space concept. We have designed and selected our own materials exclusively for the Grand Tropicana project for high standard of durability, maintenance, and exquisiteness of unexceptional contemporary lanna style. Maharat hospital, Chiang Mai University, Grace International School, American Pacific International School, etc. Feel secure, Confident, and safe. We are aware that flooding has been a primary concern when choosing your home. 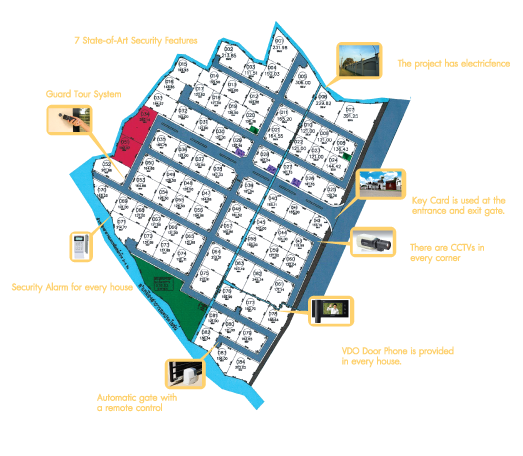 Here at Na Lanna, you can be confident that your home and properties will be safe from frequent floods. Na Lanna is situated in a safe area which is higher than Ping river plain and outside of damn drainage affected area. Above all, the project’s area has never been flooded.